First, how does this happen? It is probably you or some one had added a comment in your word document but you didn’t realize about it. User can add comment on document by simply right click and select New Comment. Since it is pretty simple, you might accidentally click on it without realize it. Step 1: Open the word document which have this kind of problem. Goto Review tab on top. Step 2: Make sure the All Markup is selected in the Tracking menu. Now, click the Next button in the Changes menu. Step 3: Now the word should show your the comment which you or some one added in the document. Step 4: Right-click on the comment and select Delete Comment in order to delete the comment. Step 5: Repeat Step 2 to Step 4 until all comments are deleted. Step 6: Remember to save your word document. 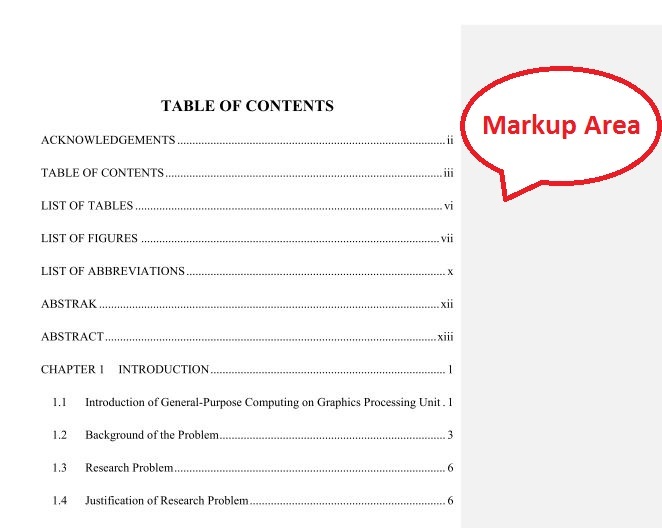 By default, the markup area will be hidden when you open it the next time. Hope this small tips can help you get rip of the trouble whenever you print your word documents, especially those documents which require a lot of editing like research thesis. It was also driving me batty. I went to the review tab and clicked ‘show comment’ and the markup area went away. Along with the others i thank you. Thanks, that was really annoying. Thank you, for the clear concise instructions. It solved the problem! Glad I found how to remove the sidebar, I am trying to figure it out for half an hour. MS Word is super difficult than Adobe Photoshop. The track bar is too far from the document. Your assistance I greatly appreciated. Cheers big time for that > It worked a treat. Its been bugging me for weeks. Thank you. This is useful. thank u very much for sharing. Brilliant – thanks so much!!! There is also command “delete all comments” available. 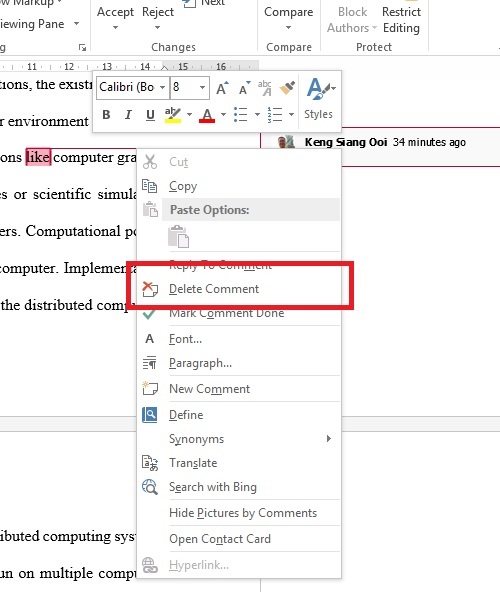 To delete all comments at once, click the arrow by Delete Comment > Delete All Comments in Document. Thank very much, so much helpful. Thank you! I hate this version of word, but my old one won’t work anymore. This didn’t work for me. The annoying side bar is still there. I can’t save or print the document without this white space appearing on the right side. Thank you very much 🙂 , it had been troubling me for a while. I’m glad I was able to find this.